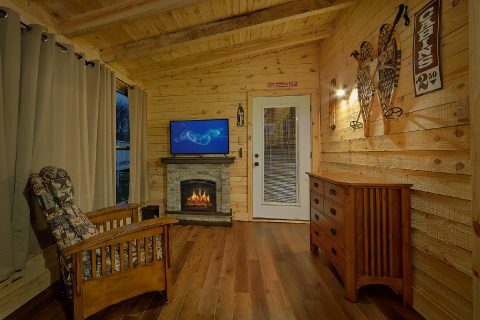 Embark on a vacation escape to the Smoky Mountains at "Amazing Grace II," your vacation rental near the Parkway that sleeps up to 6 guests! 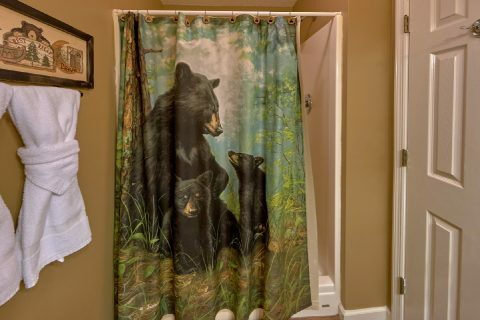 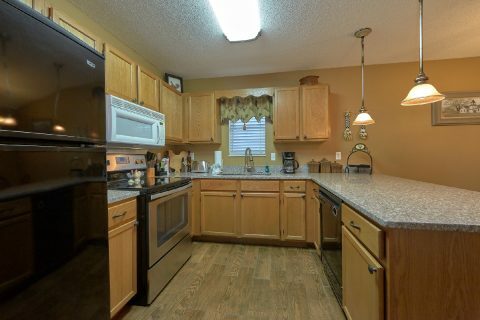 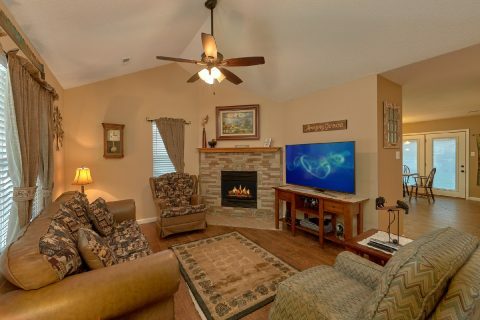 This 2-bedroom, 2-bathroom vacation rental provides guests with comfortable rental amenities, such as a hot tub, fireplace, and jacuzzi tub, as well as location right in the heart of all the entertainment the Smokies has to offer. 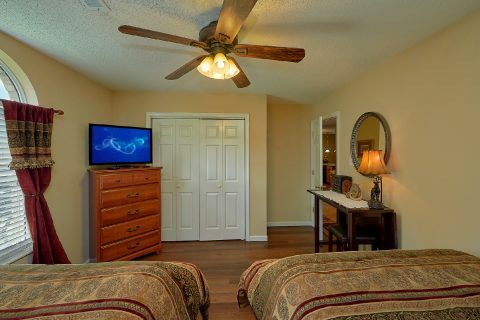 Your vacation home away from home provides you with comfortable features for your stay, such as cable TV, a gas fireplace, and WiFi internet. 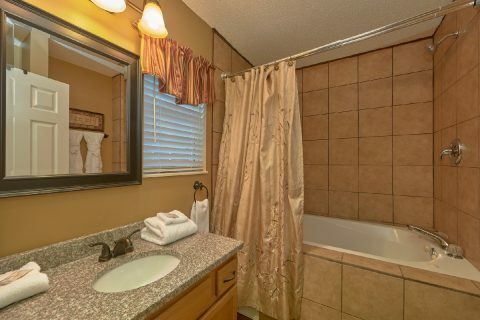 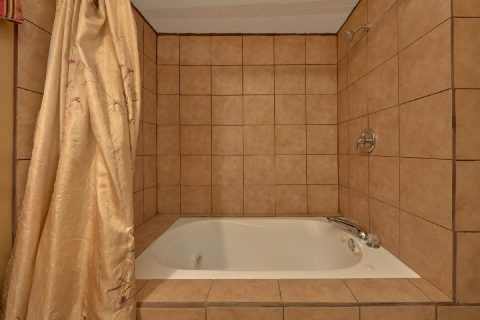 You can also enjoy relaxing in the warm waters of your hot tub and letting your cares float away on a mountain breeze. 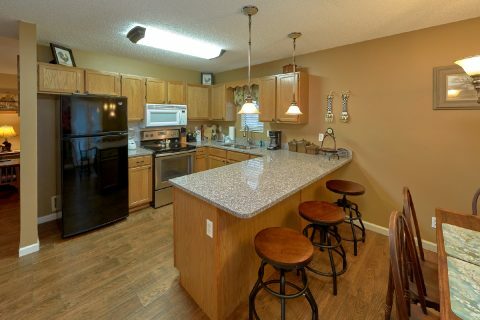 A gas grill lets you enjoy cookouts in the mountains with friends and family. 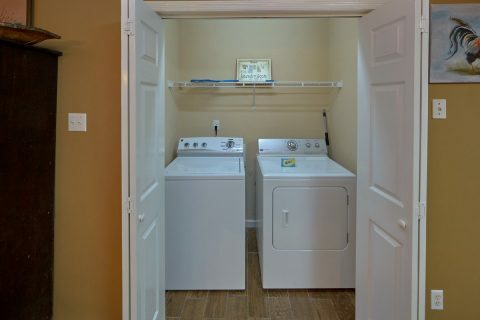 Practical amenities, including a washer and a dryer and a dishwasher, make your vacation rental stay convenient and comfortable. 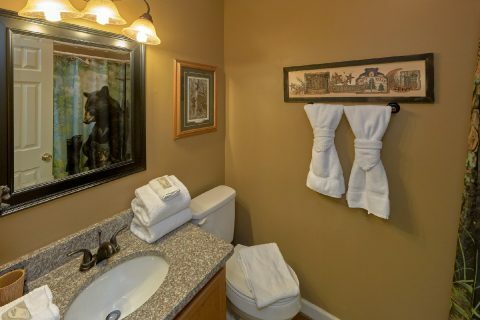 Your rental provides not only provides you a perfect place stay but also the perfect location to go and explore Pigeon Forge! 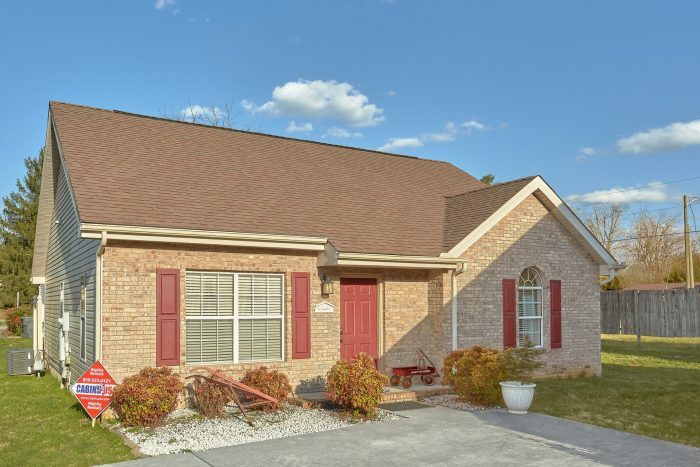 From Dollywood to The Island, dinner shows to mini-golf, there's plenty of fun and excitement located only minutes from your vacation home. 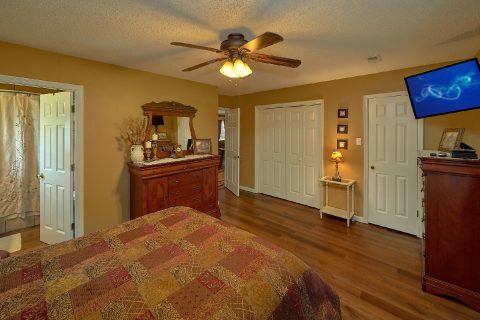 After an exciting day in the Smokies, you can unwind in one of 2 bedrooms. 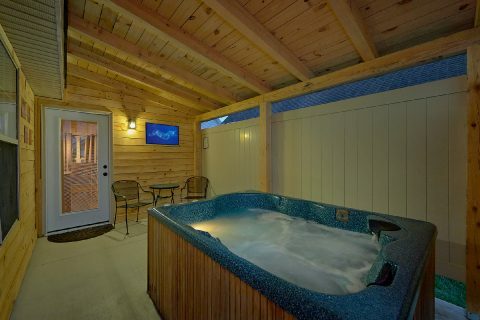 Before you head off to bed, relax in the waters of your jacuzzi tub for a spa night in the Smokies. 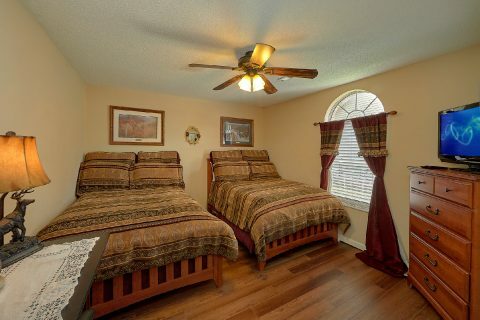 Then, get some sleep for another day of adventure in either the king bedroom or in the bedroom with 2 full beds. This comfortable vacation rental is located in the Creekwalk neighborhood along with three other properties - "The Bunkhouse", "Cinnamon Cottage", and "Dew Drop Inn at Creekwalk." 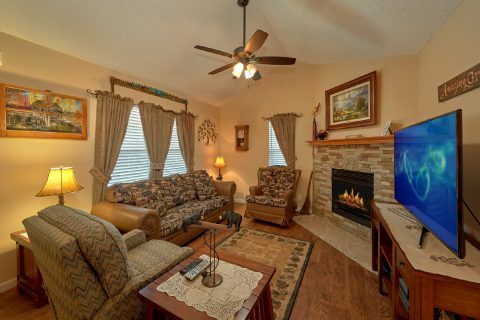 Groups who want to stay close together will love the convenience of renting more than one of these properties for their vacation. 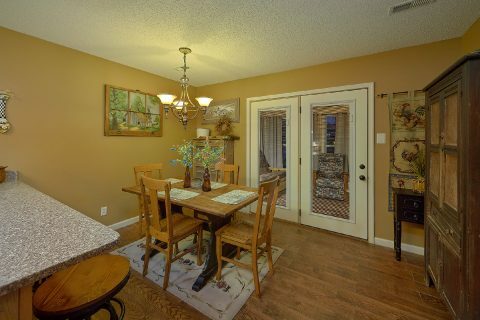 Talk to one of our reservation specialists today for details. 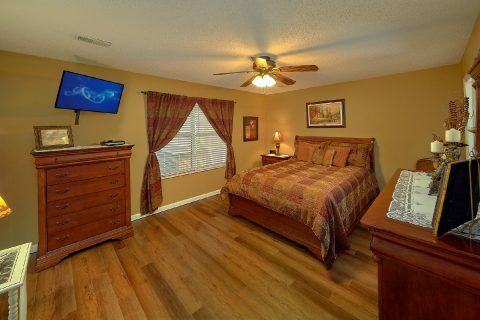 Book "Amazing Grace II" today and enjoy a 15% online booking discount on your 2-bedroom vacation rental near the Pigeon Forge Parkway!